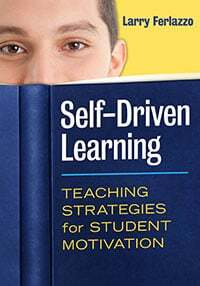 Online and hard-copy resources can be useful aids in helping to engage parents, though I’d suggest that they be used by educators as openings to initiate genuine conversations — not as ends in themselves. I thought readers might find a collection of what I think are decent multilingual resources that could be used in this context. 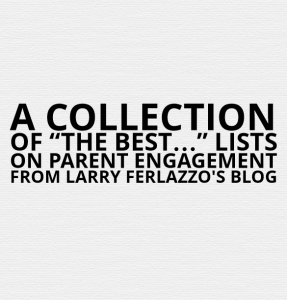 You can also find all my parent engagement-related “The Best” lists here. The National Council of La Raza has just published Padres Comprometidos: Support Your Child’s Success in English and Spanish. I wouldn’t say it’s all that great, and it, unfortunately, is being used to also promote General Mills’ products. But it is in Spanish, and there really aren’t that many decent Spanish-language parent involvement materials around. Parent–Teacher Conference Tip Sheets (Hojas de Consejos Para Las Reuniones de Padres y Maestros) are two hand-outs — one in English and one in Spanish — that “are designed to support educators and families in conducting productive, successful parent-teacher conferences.” They’re from the Harvard Family Research Project. “But What If I Don’t Know English?” is another great resource from Colorin Colorado, and it’s available in Spanish and and in English. It shares ideas on how parents who don’t speak English can still help their children develop literacy skills. En Camino: Educational Toolkit For Families is a series of free online “modules,” available in both English and Spanish, designed to help answer parent and student questions about college. It’s from the National Center For Family Literacy. Ed Week’s Learning The Language blog posted information and links to a number of resources in English, Spanish, Hmong and Somali for parents with children who might have learning disabilities. People For Education publishes multilingual materials useful for parents. Though some of them are unique to Ontario, others can be used elsewhere. Here’s a sample in English. College Bound is a series of videos — both in English and Spanish — designed to help parents get ideas on how they can support their children academically. Parent have to register at the site in order to watch them, but it only takes a few seconds to do so. The videos are very accessible, and a few of them seem useful enough for teachers to use them in the classroom with students. Head Start has a series of downloadable flyers in their Importance of Home Language Series that are in English and Spanish. They’re useful for educators and for parents. Growing Readers offers a sizable collection of bilingual (English/Spanish) materials offering advice to parents on how to…grow young readers. You can also sign-up to received a new article free by email every month. The State of Massachusetts has an impressive collection of pre-school learning guides for parents. They’re in English, Spanish, Haitian, Khmer, Chinese and Portuguese. They seem very well-designed and accessible with excellent graphics. Edutopia has just announced they’ve translated two useful parent resources into Spanish: A Parent’s Guide to 21st-Century Learning and Mobile Devices for Learning: What You Need to Know. The HHS Administration for Children and Families Office of Head Start (OHS) has a number of resources that support refugee families. The handbook, Raising Young Children in a New Country: Supporting Early Learning and Healthy Development, focuses on refugee families and the parenting of children from the prenatal period through age 5. Throughout this handbook are easy-to-follow illustrations that provide families with information about healthy development, early learning and school readiness, and family engagement in early care. An adaptation of the Bridging Refugee Youth and Children’s Services (BRYCS) publication, Raising Children in a New Country: An Illustrated Handbook, this handbook was authored by BRYCS in collaboration with the National Center on Cultural and Linguistic Responsiveness (NCCLR). Spanish and Arabic translations are expected to be completed during September 2013. I have been, and continue to be, skeptical of anything connected to NBC’s Education Nation — including their “Parent Toolkit” (see NBC “Education Nation” Unveils “Parent Toolkit” — Time To Be Skeptical). However, they have just published a Spanish version of that Parent Toolkit and, given the dearth of good multilingual parent resources, I’m very reluctantly adding it to this list. Raising Readers is from Scholastic, and it has a lot of free materials — in both English and Spanish — to help promote activities parents can do with their children to encourage reading. To tell you the truth, I’m not sure exactly how useful they are, but it’s always nice to have some decent materials in a language other than English for parents. Use it at your own risk, though…. Let me know if you have other suggestions….. This entry was posted in Best of lists. Bookmark the permalink.